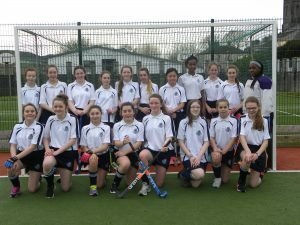 For a long number of years Hockey has been the main sport for girls in the school. 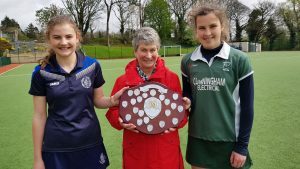 Grandmothers and Mothers who previously played for the school, now see their young daughters and granddaughters play on a fully equipped Astroturf surface – A far cry from the days of shale. 1st year A and B. 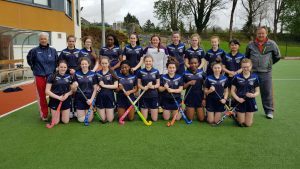 Teams compete in the Connacht League. With more schools now playing Hockey, competition in both leagues is of a high level. 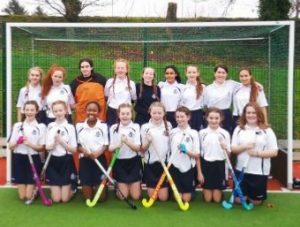 The girls have the opportunity to travel to other schools, meet new people and, importantly, enjoy social team contact with their peers. 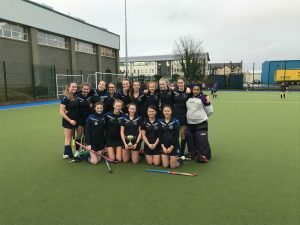 The new year’s hockey leagues got under way on Monday 14th Jan. Our 1st year and U 15 hockey teams got their first run of 2019 in their leagues, with games played in Sligo Grammar School. Although they lost narrowly to Athlone today, both teams played well. The players have shown wonderful commitment and positivity to date, training twice a week. We all look forward to their coming season. Go for it, girls! 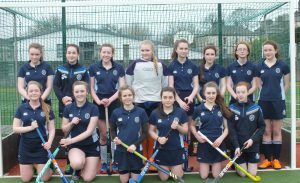 Sligo Grammar Schools Senior B hockey team played in the Ward Cup final on Tuesday 25th November against Seamount College, Kinvara. 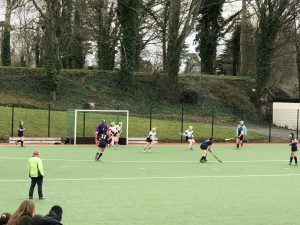 Despite the horrific weather conditions both teams showed a great display of hockey. After a very tight first half, the score remained 0-0 at half time. After a serious motivational speech given by Mr Graham, the Grammar School came back fighting hard! It wasn’t long before the Grammar took the lead, with Keely Lindsay scoring two goals in quick succession! 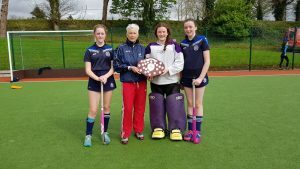 Captain Grace Burke accepted the Ward Cup on behalf of all the team. 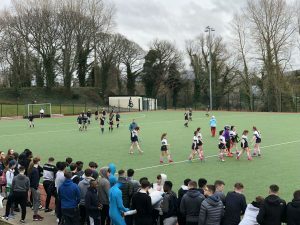 A special thanks to Mr. Graham for all his coaching, the umpires on the day and to the dedicated supporters from the school who cheered them on until the final whistle. Well done girls!! 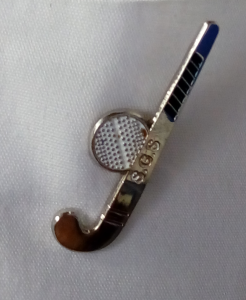 SGS has presented hockey pins to the students who have been capped for the first time for SGS. We hope to continue this next year for hockey players who show commitment and dedication to the school teams. Well done girls! 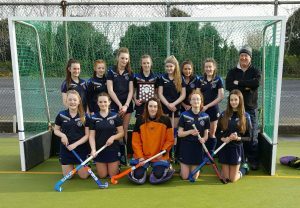 Well done to the U15 B Hockey team who won the Sweetnam Cup on Tuesday 24th April. 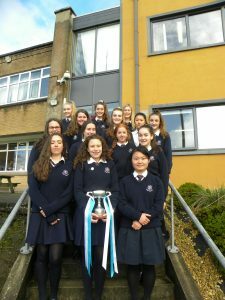 They beat Salerno Girls Secondary School, Galway at Sligo Grammar School. 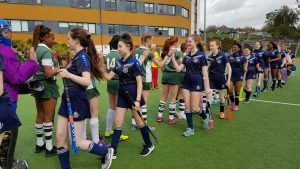 The final score was 1 – 0 to SGS. 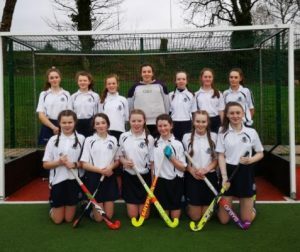 Our Senior girls faced Seamount College on Friday 16th March in SGS for the final of the Connacht B Cup hockey. 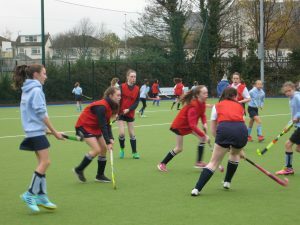 The game was played in excellent conditions on the school’s astro-turf pitch. The teams were very evenly matched and both fought hard to gain the upper hand. 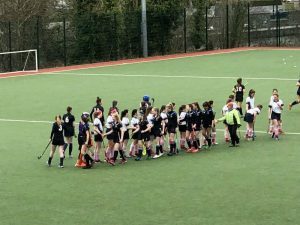 The score at the end of the match was 2 – 2, the Grammar goals scored by Sarah McCormack and Jayne McCormack (no relation!). The game went to extra time and still no winner emerged, so a penalty shoot-out was called. SGS penalties were scored by Juno Ellison and Sarah McCormack. After the penalty shoot-out the teams were still even so the game went to sudden death. SGS missed and Seamount scored, so the cup went to the visitors. Bitter disappointment for our girls and their coaches after a brilliantly fought match. Clips from the match are on our Twitter page so have a look at the highlights. 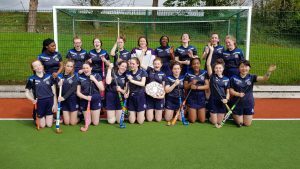 Well done to Sligo Grammar School’s U16 Hockey Team who won the Howley Plate in Galway on Friday 27th January, in a match against Salerno Secondary School, Galway. 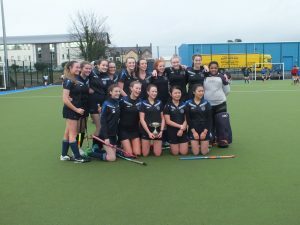 The final score was 1 – 0 to the Grammar School with the winning goal being scored by Rebecca Harte, 2nd Year. A hearty congratulations to all on the team! 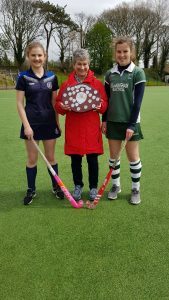 Congratulations go to Jayne McCormack who has been selected to play for Connacht in U18 Hockey. 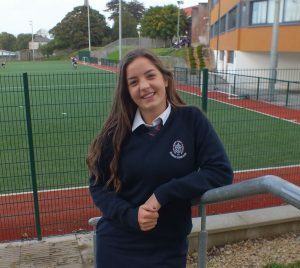 Jayne has been playing hockey with the Sligo Grammar School since she joined the school in first year. 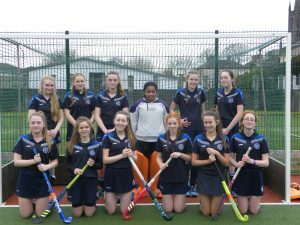 Throughout her time in the school Jayne has proven herself on the hockey field, becoming one of the most talented and hardworking of players. 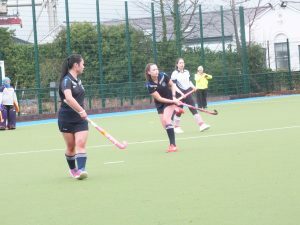 Last year she was also selected to play for Connacht so, clearly she is keeping up the good work on the hockey field! Well done, Jayne. Below are some of this year’s hockey teams.